They are taking the ‘radical’ step of raising their retirement age to 63…from 61! Good Grief! Imagine what sort of peace and prosperity the world would experience if America and the EU nations jointly raised their retirement ages to 70! The fears about every industrialized nation’s burgeoning debt would diminish, if not evaporate overnight and at least one major financial sword of Damocles would be put to rest. What in the name of Sam Hill is going on here? Uh, sorry about that, sirs and madams….but we have not ‘taken care of it just yet’…and we are showing zero signs of taking this seriously and doing so now in 2010. That is why you need to pay very close attention to how Germany and the European Union deals with the profligacy of the Greek government and society right now, today. They are going to force some ‘painful’ reforms on the Greek people that they are incapable of forcing on themselves apparently. What an embarrassment that the birthplace of democracy, Greece itself, is now having to be forced by outside creditors and guarantors to make the hard decisions they should have been making through their own legislative process for the past 30 years. Sound familiar? 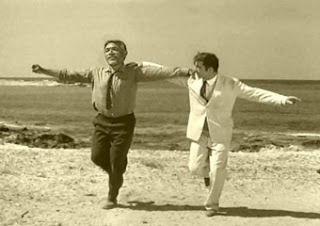 It should because we have followed the exact same course as the Greeks: “We want it all, we want it now and we don’t want to pay for it out of our pockets so we’ll just borrow it from the Germans and future Greek children with loads of debt and live and and dance like Zorba the Greek”. Greek budget deficits now run about 13% of GDP. US budget deficits run about 10% of GDP. Greece’s GDP is $357 billion per year. Greece would be the 13th largest state in the US ranked by GDP just behind Michigan and just ahead of Massachusetts. Presumably, if Greece were a US state, they would be running to Washington asking for a bailout of their finances just like California ($1.85 trillion GDP) and the others have already done. The party is over for the Greeks and the contagion is about to spread throughout the EU. Why don’t we just do the right thing now, bite the bullet, cut back on all of these excessive spending programs, reform and scale back on these entitlement commitments and return to a life of economic growth and prosperity? That would be a lot more fun than the last 2 years, which might become 10 years if we don’t watch out…wouldn’t it?